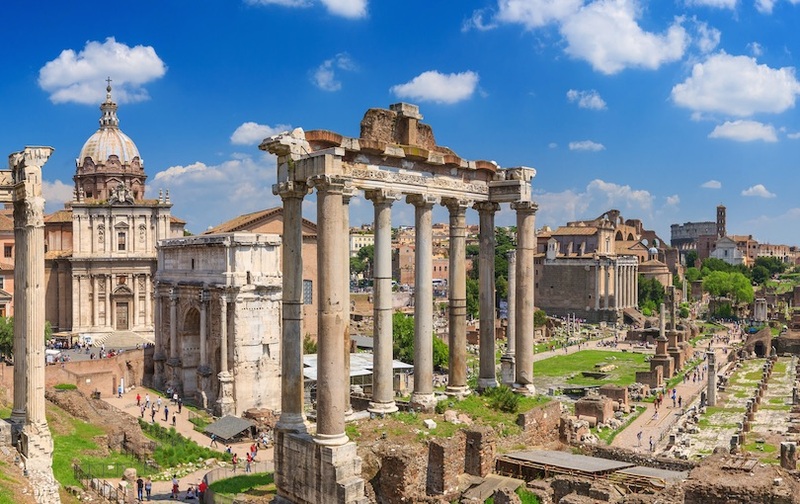 Advantages booking private Rome tour guide: Some people hear the words Private Tour and automatically think this will be cost prohibitive. Yet this could not be further from the truth. Families are normally very surprised at how much better value for money is offered by private tours, especially when there are several members in a party to spread the cost. Once all the extra costs are taken into consideration, private tours can often work out at a better per person price than going on a shared tour with other strangers. And for those really looking for an exclusive experience, options are available to upgrade to our VIP Level Tours. What to visit in Rome : Pantheon – One of the best preserved Roman buildings, The Pantheon was built in 126 AD as a temple for all the Roman gods. The temple has served as a Roman Catholic Church since the 7th century. Eight graceful granite Corinthian columns extend across the front of this circular building, with lesser columns in back. Though it is 2,000 years old, the Pantheon’s famous dome remains the world’s largest unreinforced concrete dome. It is believed Marcus Agrippa built the Pantheon to be his private temple. The current building was reconstructed by Emperor Hadrian in the second century. The Vatican is the smallest independent state in the world, with an area of less than half a square kilometer, most of it enclosed by the Vatican walls. Inside are the Vatican palace and gardens, St. Peter’s Basilica, and St. Peter’s Square, an area ruled by the Pope, supreme head of the Roman Catholic Church. This compact space offers much for tourists to see, between its museums and the great basilica itself. Inside St. Peter’s Basilica is Michelangelo’s masterpiece, Pieta, along with statuary and altars by Bernini and others. The unquestioned highlight of the Vatican museums is the Sistine Chapel, whose magnificent frescoed ceiling is Michelangelo’s most famous work. The Vatican Museums , Among the largest museum complexes in existence, the Vatican Museums contain some of the most significant classical sculptures and Renaissance works of art in the world. The museums contain around 70,000 works of art that were collected by Popes throughout the centuries. They are most famous for Michelangelo’s Sistine Chapel, the Raphael Rooms (containing The School of Athens) and the Map Room. Free things to do in Rome : Walk the Ancient Appian Way, The Appian Way (Via Appia Antica) was Europe’s first highway. Built in 312 B.C., the Appian Way connected Rome with Capua running in a straight line for much of the way. The part of the old road close to Rome is part of a nature and archaeological park, the Parco Regionale dell’Appia Antica. Walk on the old road out of Rome on Sunday, when no cars are allowed. There are lots of ancient things to see on the peaceful walk, and the park has detailed routes and maps of the best walking and biking routes. While you are there see the ruins of Roman monuments, two major Christian catacombs, and the Domine Quo Vadis Church. In the nave look for the footprints reputed to be those of Jesus.